Lakewood is gearing up for two big races in August — the Bay Cup II and Heald Bank Regattas, which provide the perfect opportunity to compete against your peers on the bay and offshore as well as a chance to tune up for this year’s Harvest Moon Regatta in October. Lakewood will host Bay Cup II Aug. 4 along with the post-race party that evening. Liquid trophies will be awarded by Southwest Spirits, and artist Robert Greaney will perform for the crowd. The Heald Bank Regatta will be raced Aug. 17-18, followed by a celebration at the club. Andy and the Dreamsicles will provide the live entertainment. The fun doesn’t stop in August. Follow up these races by participating in the Harvest Moon Regatta Oct. 25-28. HMR is returning to its usual format and will race from Galveston to Port Aransas. Primary sponsors for Bay Cup II and Heald Bank include the City of Seabrook, Blackburn Marine, Davis Marine Electronics, True North Marine, Mariner Magazine, Upstream Brokers, Sea Lake Yachts, Keven Severance Insurance, OJ’s Marine, Little Yacht Sales, RejeX.com and Texas Coast Yachts. Racers can register at www.lakewoodyachtclub.com under the Regattas tab. The registration fee for Bay Cup II is $75 and includes entry into the Skippers’ Meeting on Aug. 3, as well as a meal and two drink tickets to be enjoyed at the post-event awards party. A $5 discount is available to U.S. Sailing members. The entry fee is payable by credit card or yacht club reciprocal charge. Aug. 1st is the registration deadline. Bay Cup II is the second in a two-race series. One or more distance races will be sailed in either Trinity Bay or Galveston Bay. Potential classes include PHRF Spinnaker, PHRF non-Spin, Cruising Spinnaker, Cruising Non-Spin Classic Canvas (using only Dacron sails), Multihull and One Design class(es). Non-racers and other out-of-town guests can enjoy an array of nearby activities in Seabrook and the surrounding area, which offer a variety of entertainment. Walk the trails in Seabrook, visit Space Center Houston, check out the wildlife at Armand Bayou Nature Center or experience the dining and amusement options at the Kemah Boardwalk. Overall trophies for the Bay Cup series will be given out at the post-race party on the evening of Aug. 4 in the LYC Ballroom. Robert Greaney will provide live entertainment while guests socialize and savor great food and tasty drinks. This year’s sponsors include City of Seabrook, RejeX.com, OJ’s Marine, Little Yacht Sales, True North Marine, Texas Coast Yachts, Blackburn Marine, Upstream Brokers, Davis Marine Electronics, Kevin Severance Insurance, Sea Lake Yachts, Mariner Magazine, Bay Area Houston Magazine and Southwest Spirits. Regatta proceeds benefit Bay Access, a not for profit charitable organization fostering amateur racing and sailing on Galveston Bay. The Heald Bank entry fee is $80 and includes access to the Skippers’ Meeting on Aug. 16 and a ticket for dinner and two tickets for Texas Navy Rum at the post-event awards party hosted at LYC Aug. 18. A $5 discount is available to U.S. Sailing members. Don’t miss the Aug. 11 registration deadline. Heald Bank is an offshore regatta open to all boats of the PHRF Spin, PHRF Non-Spin, Cruising boats with a PHRF Rating (non-spin or with Spinnaker), One-Design, and Multihulls. The Buccaneer Bash dinner and awards party will follow the race at LYC, which will include a “Pirates’ Pig Roast,” live entertainment by Andy & the Dreamsicles and plenty of Texas Navy Rum. 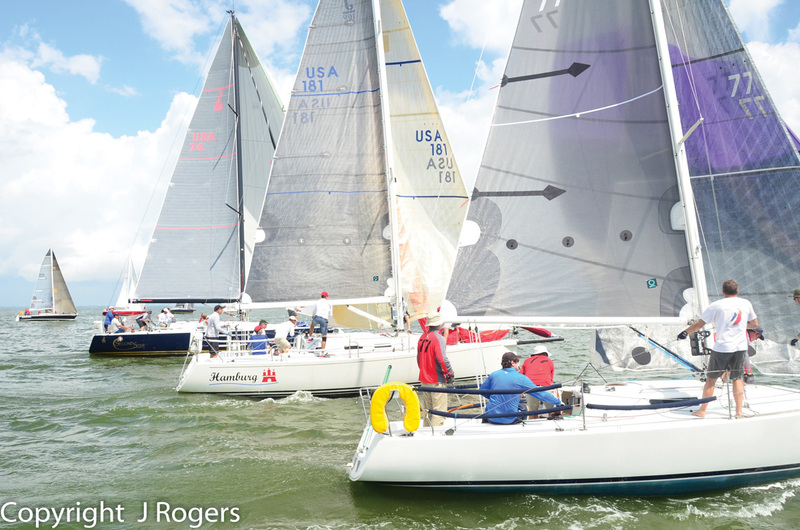 Sponsors of the 2018 Heald Bank Regatta are the City of Seabrook, Texas Navy Light Rum, RejeX.com, OJ’s Marine, Little Yacht Sales, True North Marine, Texas Coast Yachts, Blackburn Marine, Upstream Brokers, Davis Marine Electronics, Kevin Severance Insurance, Marine Outfitters, Sea Lake Yachts, Mariner Magazine and Bay Area Houston Magazine. For further information, call LYC at 281-474-2511 or Heald Bank Race Chairman Bob Hunkins 281-216-4082 or rdhunkins@verizon.net.